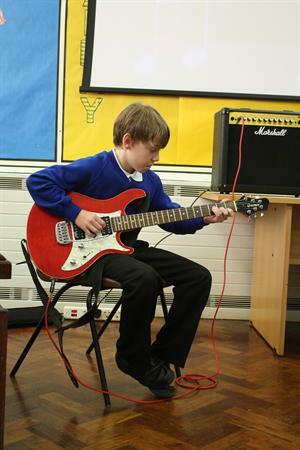 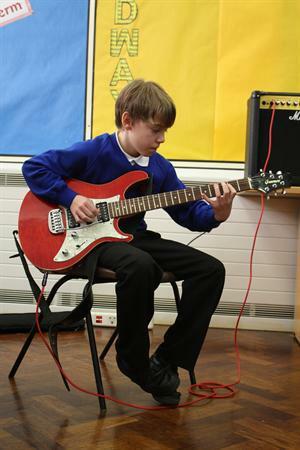 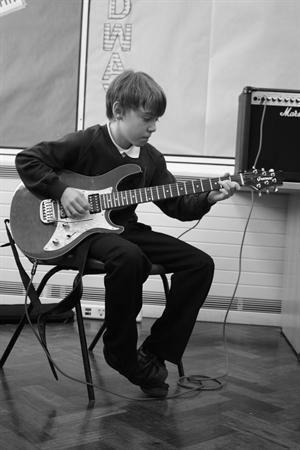 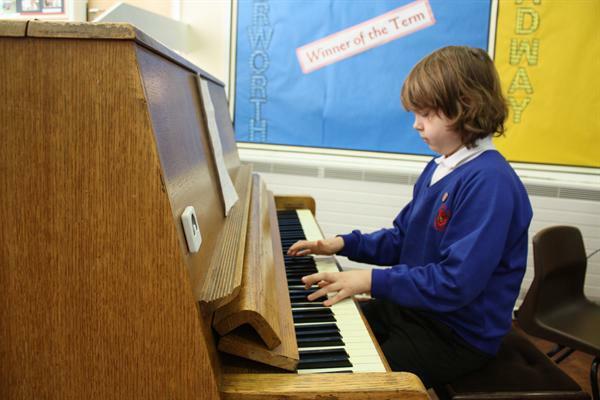 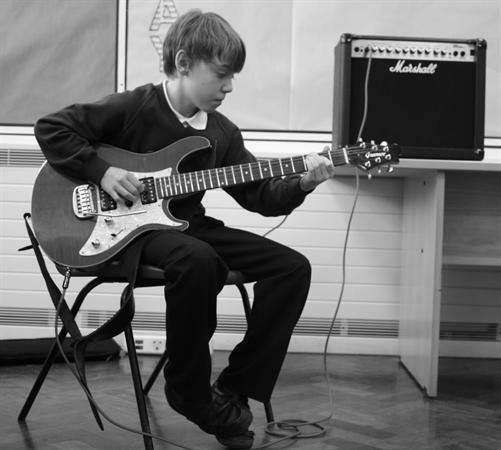 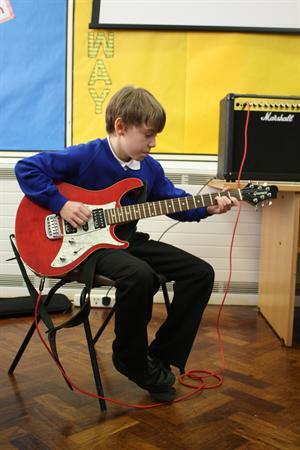 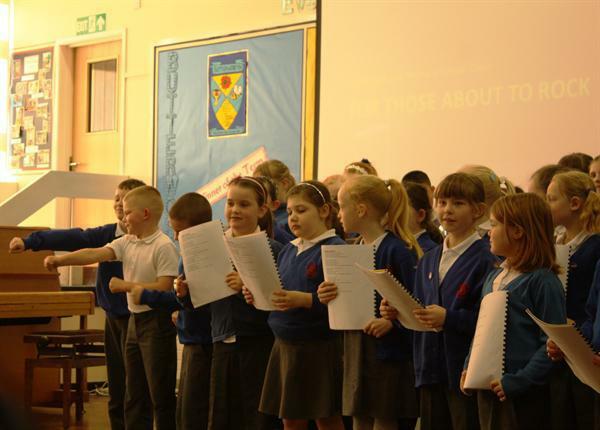 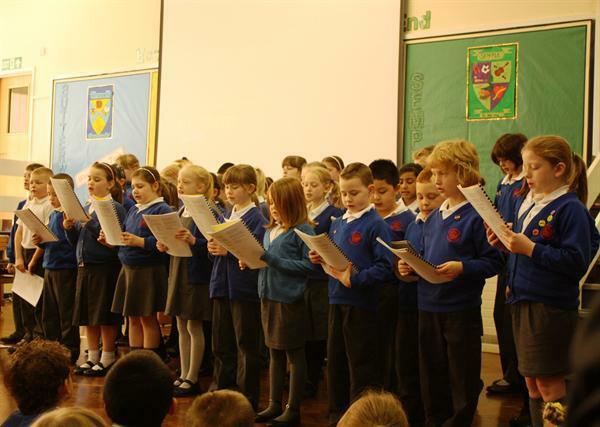 It is that time of year again when the children at Whitegate End showcase their musical talents. 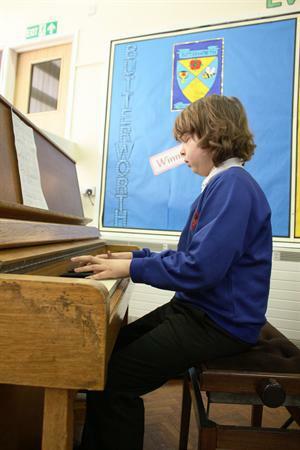 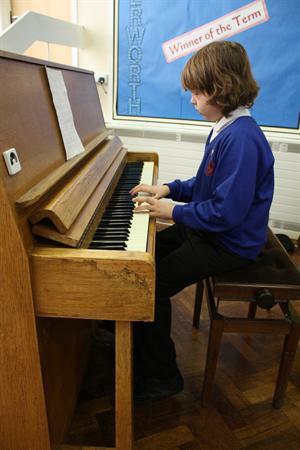 The assembly opened with whole school singing of ‘Firework’ followed by solo pianist Logan McClure playing Adele. 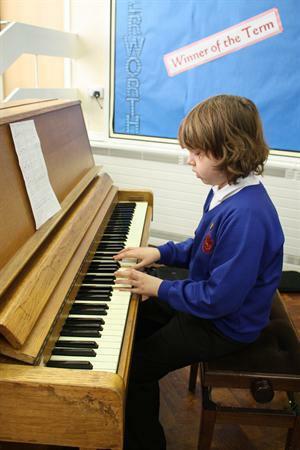 Logan has only been playing for a year and is already performing – expecting great things from this young man. 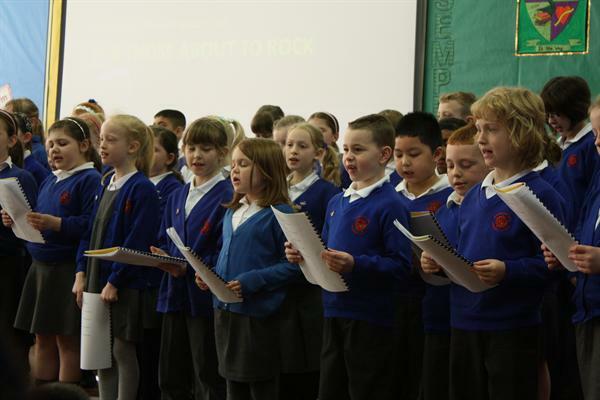 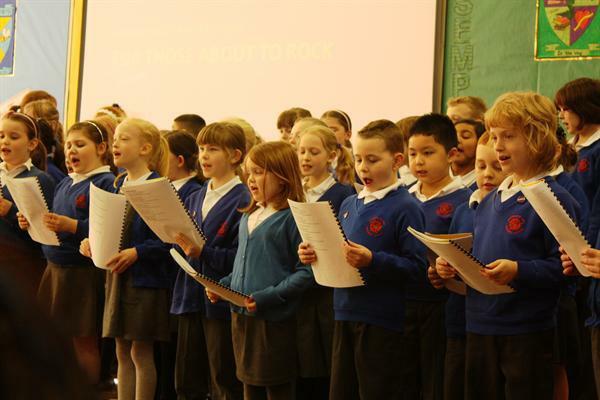 The choir then sang two songs ‘Electricity’ from Billy Elliott and ‘For all those about to rock.’ Some budding singers sand their hearts out – definitely a future for some of the choir. 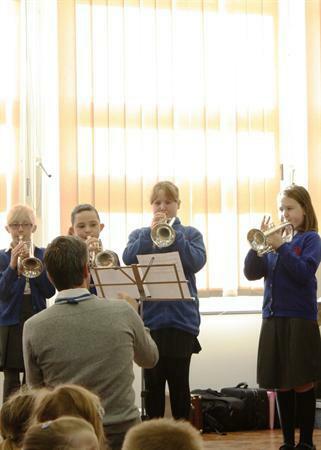 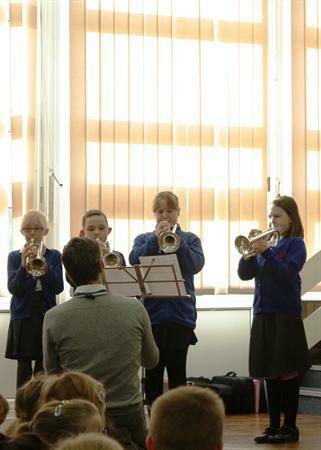 The Brass group play the familiar tune of ‘The Lion Sleeps Tonight.’ It takes great effort, a lot of practice and great patience to play such an instrument so well done to Emma Peacock, Emily Hobbis, Leah Harthill and Hannah Normoyle. 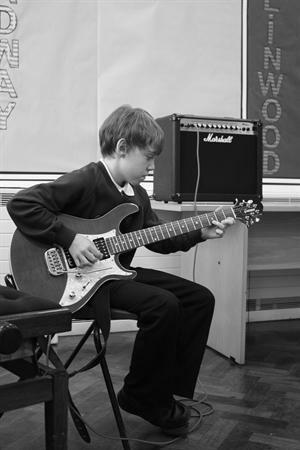 The assembly was completed with a finale from Jack Yates on the bass guitar playing Apache’s ‘The Shadows.’ What a phenomenal performance. 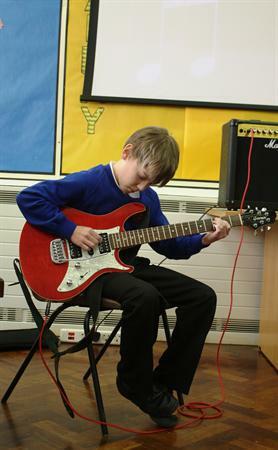 So great that he had to play it again for everyone. 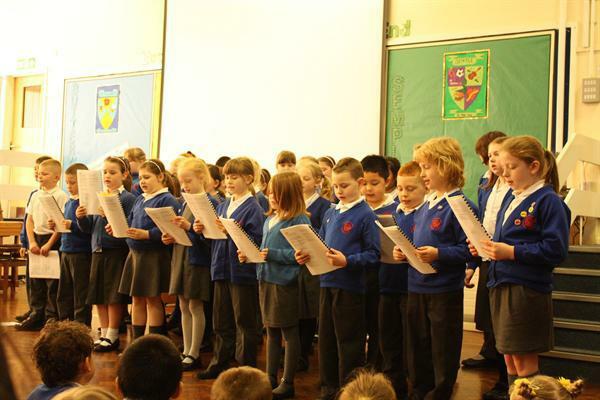 Well done to all the performers from today’s assembly.